According to the research so far, there seems to be a pretty clear consensus about whether smoking or vaping is safer. However, a great deal of information has been published on that topic already, and it’s easy enough to look up. As such, this article isn’t going to get into that. The focus here is on the benefits of vaping over smoking unrelated to their comparative health effects. One of the least popular things about smoking, according to both smokers and those who live or spend considerable time with them, is the smell. The odor of stale cigarette smoke clinging to a smoker’s hair, clothes, remaining on their breath, in their car, and in their home, is not a pleasant one. And it can remain long after the cigarettes responsible for it have been smoked. The aerosolized vapor produced by e cigarettes, however, isn’t smoke. It dissipates and simply doesn’t stick to the vaper the way smoke does to a smoker. Not to say that vaping has absolutely no impact on the senses, but if you were to ask virtually any vaper who has switched from cigarettes to vaping, they’d likely tell you the same thing: They can smell and taste things again. Or at least they can do so with much more sensitivity—something they hadn’t realized they’d missed until they had it again. It’s one of the most common observations from newly converted vapers who used to smoke when they switch over. While there are some novelty cigarettes, the majority of the time, they come in two flavors: regular and menthol. The vape flavors available, on the other hand, are too many to count. There are dozens of fruit flavors, dessert-inspired vapes, coffee flavors, mint and mentholated juices, fine pipe tobacco e juices, you name it. If it tastes good, someone has probably turned it into a vape juice. Vaping allows the user to control the nicotine content of their e juice. (Which is a terrific feature for anyone using vaping to quit nicotine or smoking, allowing them to wean down their dose.) Additionally, it also provides for hit control. Once you light a cigarette, in most cases you’re going to end up finishing it (or hanging onto a foul-smelling half-smoked one). With vaping, you can take as many or as few hits as you choose. 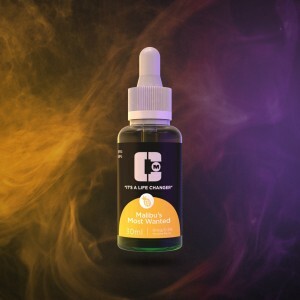 Since their founding in 2011, the Mt Baker Vapor team has been serving the finest vape juice, most delicious vape juice flavors, and the best vaping hardware to their family of customers all over the country. Along with a great variety of the finest products, Mt Baker Vapor’s friendly, informed customer service staff and incredibly fast shipping keep customers coming back for more. In addition to their own tasty vaping juice flavors, they have partnered with other high-quality suppliers to ensure their customers (and retailers) access to a wide variety of e cig juice options and fantastic vape juice wholesale prices. And as always, the Mt Baker Vapor team is committed to carrying the highest quality vape juice and hardware while continuing to advocate for vaping and its benefits.